Small businesses in Oklahoma that face the issue of past due customers then hiring a collection agency in Oklahoma can help recover the money owed. Using a collection agency has many benefits to a small business but the main one is increasing revenue from past due accounts. A business that understands how to select the best collection agency will see the highest amount of revenue returned to the business. Most businesses that have never hired a small business collection agency have no idea how to evaluate a collection agency to make the best decision. Below we list a few thoughts on how to select a top collection agency. FDCPA– The Fair Debt Collection Practices Act (FDCPA) is a federal law that limits the behavior and actions of third-party debt collectors who are attempting to collect debts on behalf of another person or entity. Make sure the collection agencies in Oklahoma you speak to are familiar with FDCPA. Debt Collection Skills– Look for a collection agency that has experience in representing businesses in the same industry. If a collection agency has successful recovered for similar businesses then they will typically have positive results again. Debt collectors that are skilled in the art of debt collections will negotiate for payments from debtors on a business’s behalf. Bonded and Licensed– Check with the collection agency to see if they are licensed to collect within Oklahoma if required. Many states require a collection agency to pay an annual fee to legally collect debt within the state. Communication– A collection agency who communicates promptly and professionally with a potential client is a good sign they will work diligently in the future. If a collection agency is delayed in responding to an inquiry for a potential business then that is a red flag of what could be in store for a client’s future. Look for a collection agency that is familiar with the unique challenges and opportunities within the state of Oklahoma. Oklahoma has a strong economy built on industries such as Agriculture and Transportation. Local collection agencies will have built it advantages as they will have experience in collecting payments from businesses in Oklahoma. Oklahoma has strong distribution and transportation sector due to the McClellan- Kerr Arkansas River Navigation System. Barges help move heavy loads of Steel easily from Oklahoma to Arkansas. Imagine if a Steel company in Tulsa sold steel on credit to a builder who refused to pay on time. The Steel Company decides to contact a collection agency in Tulsa. The Steel Company is owed a total of $60,000 and the collection agency in Tulsa goes to work in securing payment. After 6 weeks of constant phone calls and negotiating, the builder agrees to payment terms to have the bill paid in full within 30 days! How Much Does Debt Collection Agencies Charge? Collection agencies will provide services with no up-front fees and only gets paid when they collect payment. In the debt collection industry, this is often referred to as contingency rate collections. A contingency rate allows for a win-win situation, either a business gets paid or they owe nothing. For example, a Beef Farm Corporation provides $20,000 worth of beef on credit but does not get paid by the Food Wholesale Company. The Beef Farm agrees to a 20% contingency rate with the agency. The collection agency has helped with Agriculture debt collection in the past. They are able to come with an agreement that will collect a total of $16,000 over the next 2 months. The Beef Farm Corporation will get $12,800 while the agency will keep $3,200 for the successful collections. 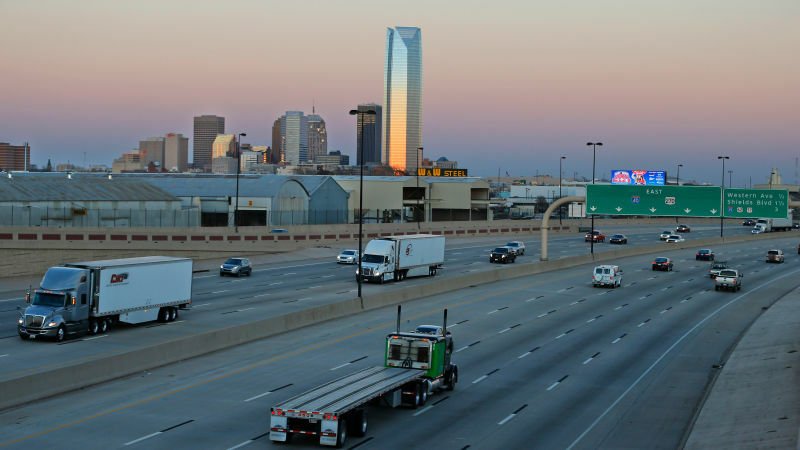 No matter where a business is located in Oklahoma, whether it be Lawton or Oklahoma City, they are a local collection agency that can assist you. To find a collection agency in Oklahoma, get a free quote below!